Simon & Schuster Books for Young Readers, 9781481423342, 368pp. When someone takes aim at Rhonda Rhino, FunJungle’s pregnant (and endangered) Asian greater one-horned rhinoceros, the zoo steps up security measures in order to protect this rare animal and her baby. But the extra security isn’t enough—someone is still getting too close for comfort. Teddy and company start to suspect that whoever is after Rhonda is really after her horn, which is worth a lot of money on the black market. For the first time ever, the head of the zoo enlists Teddy for help—for once, he doesn’t have to sneak around in order to investigate—and the results are even more wacky, and even more dangerous, than ever before. "Great fun. . . .In his authorial debut, screenwriter Gibbs combines details of the inner workings of zoos with some over-the-top action for an entertaining read." "This thrill-ride of a mystery is chock-full of hijinks for middle-grade sleuths and budding zoologists alike." 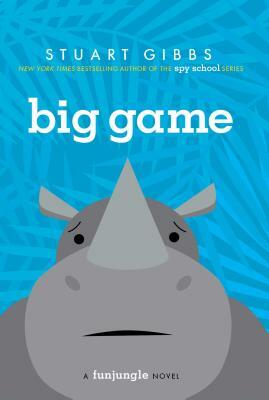 "[A] genuinely engaging mystery set in a zoo. . . . Poached is so strong that it is surprisingly second in a series, following 2010's Belly Up, with only a few lines that refer to past adventures and, better yet, do not give spoilers for an audience that is sure to want to read more. . . . This will appeal to animal and mystery lovers alike." "[W]hopper of a whodunit that delivers plenty of suspects, action, slapstick, gross bodily functions, red herrings, and animal trivia. This sequel stands alone nicely, and while the mystery is solved at the end, new occurrences promise to make Teddy's life much more interesting in a possible third book."